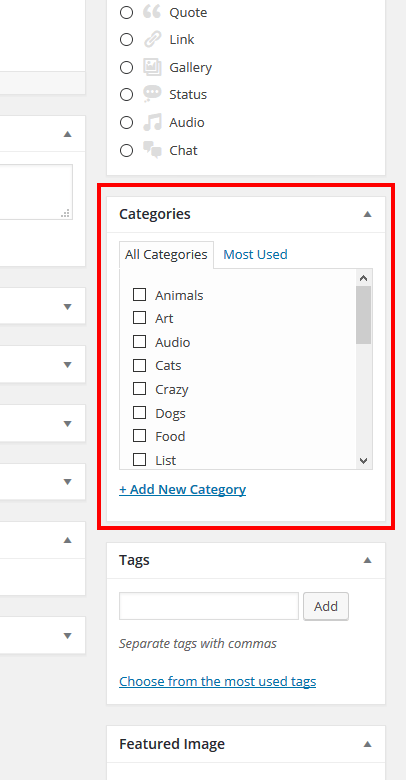 You can manage the blog categories here. 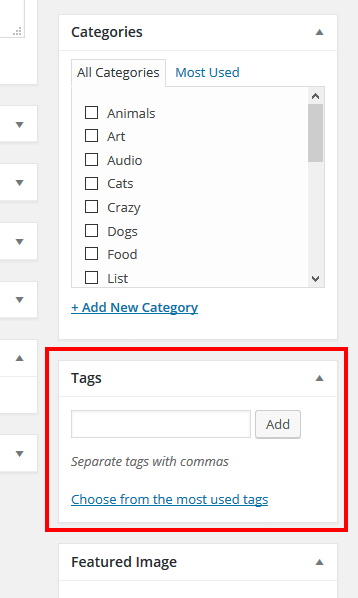 You can manage the blog tags here. You can select post’s format from right sidebar and appropriate fields will be shown under the editor.